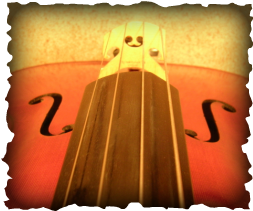 Playing the cello has truly become a priceless avenue through which I am continuously realizing the power of the self. Learning an instrument is not only a skill, but a way to use the body and mind together in wonderful harmony. Movement, breathing, balance, and rhythm are some (but certainly not all!) of the elements I find essential to successful artistry in music. Many of the ideals I implement to my students and in my own playing are similar to those of Alexander Technique and in some ways to the martial arts. Naturally, my teaching style reflects my philosophy. My private students will not just plow through the standard repertoire. Instead, beginning students will be taught to comfortably hold their instruments in a way that is fun and respectful of the instrument's value. Parents are strongly encouraged to take part in their child's musical development by sitting in on lessons, taking notes, and helping their child accomplish tasks in their practicing during the week. 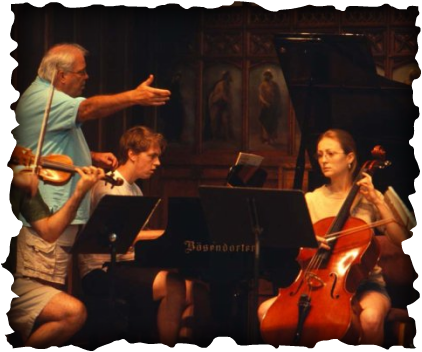 High school and older students are encouraged to take a more independent hold of their progress as a cellist by taking notes or recording the lessons themselves. Because the mind-body relationship is so key in feeling and performing at a high quality level, my students are also advised--but not required--to participate in extra-curricular movement and coordination activities such as dance, yoga, tai chi, karate, etc., and/or sports such as fencing, tennis, and basketball, etc. If you have any questions about this aspect of my teaching, please contact me. I would love to discuss any of these elements further. Purchase of music will be needed. The required repertoire will not be extravagant, but will increase over time. I teach 30-min., 45-min., and 60-minute lessons. Age and playing level are the main factors in determining which length of time is best for the student. My rates are available upon request. I try to offer my services at an affordable but quality rate. I have several studios in Atlanta, and pricing varies. Payment is due at the time of service. Unless there is an unexpected extreme circumstance (family ﻿death, me﻿dical emergency, etc. ), payment must be provided for a missed lesson if I am not notified 12 hours or more before the lesson in ﻿question. Life gets busy, and schedules change. All I ask is that you let me know if you can't make a lesson at least on a monthly basis because of a game/concert/graduation/holiday, etc. and we will work around it.